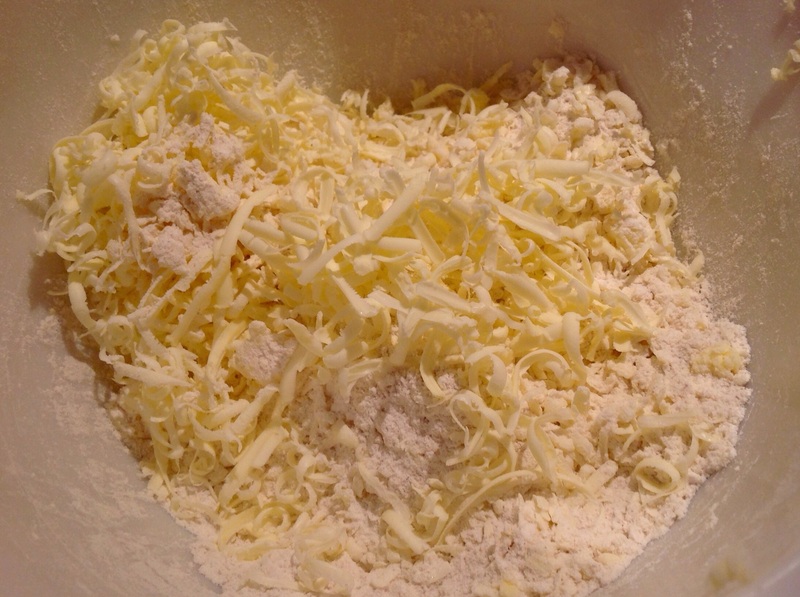 1) Mix the flour, sugar, yeast and salt together and grate the frozen butter into this mixture. 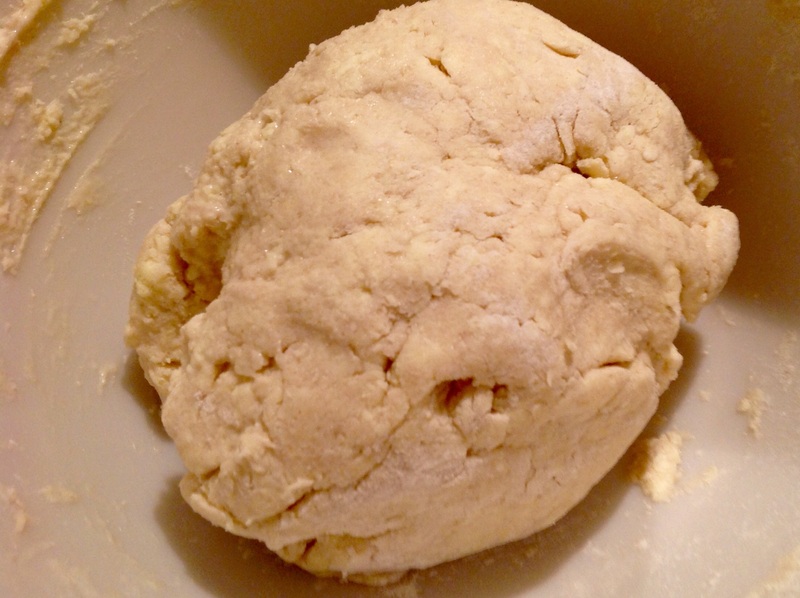 Use your fingers to gently coat the butter strands in flour. 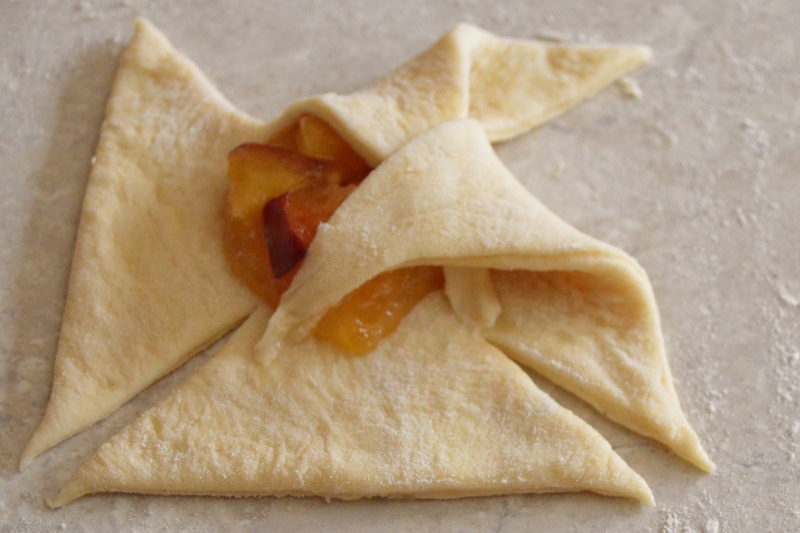 4) Place the peach slices on top of the preserve and curd mixture, slightly overlapping. 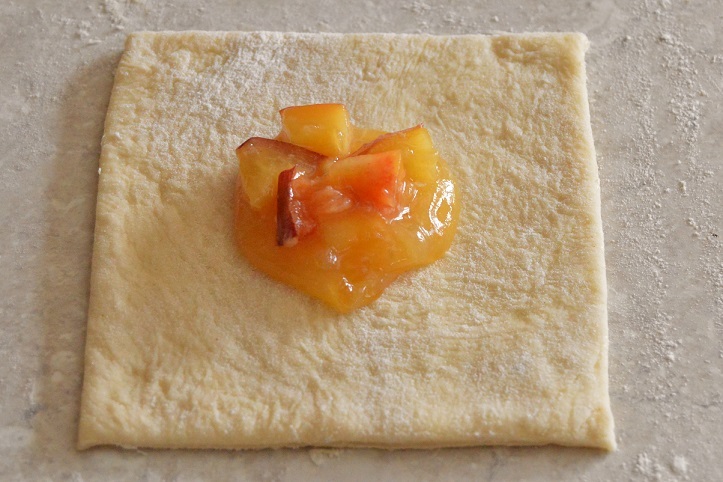 Brush a little egg over the exposed part of the pastry. 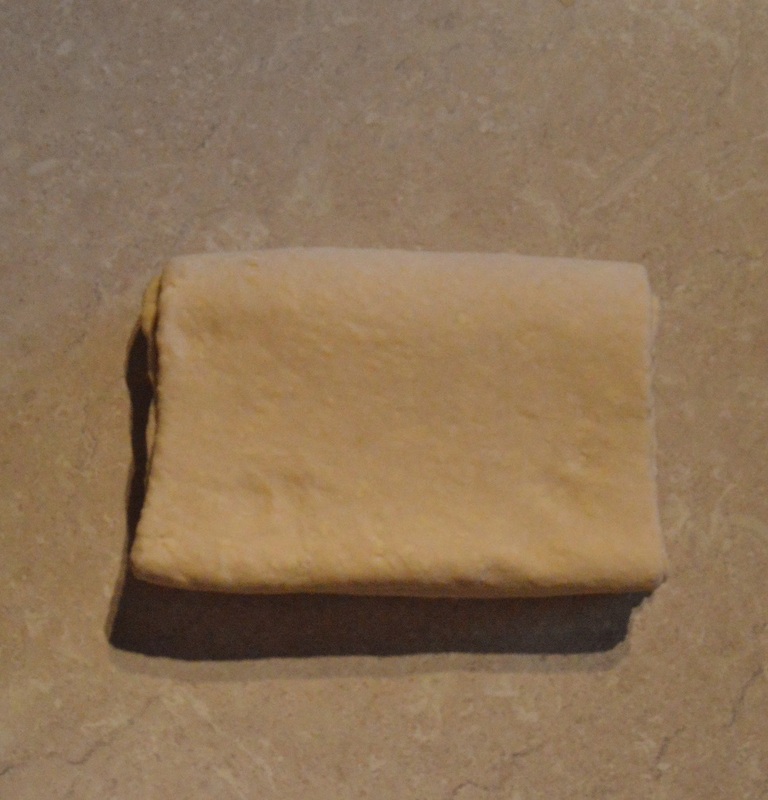 With a sharp knife, make a cut about 1cm from each edge, going only about half-way through the pastry all around, creating a border. 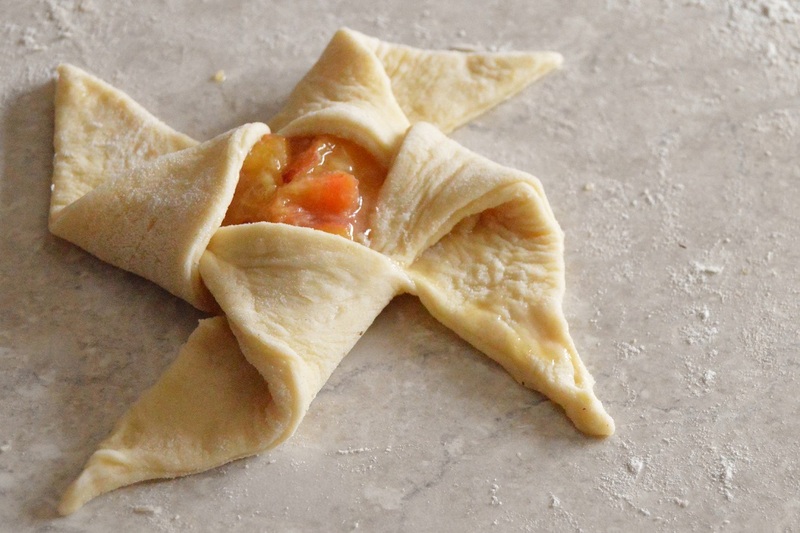 NB: you can leave the pastries very simple like this or shape them. I have given guidelines for making pinwheels below. (5) Pop the pastries in a large bag or bin liner and leave to rise for an hour or so, until puffy: you will be able to smell the yeast. Alternatively, freeze them on the baking tray before they have risen, stacking them once frozen. (6) Towards the end of the rise, pre-heat the oven to 190C(fan). 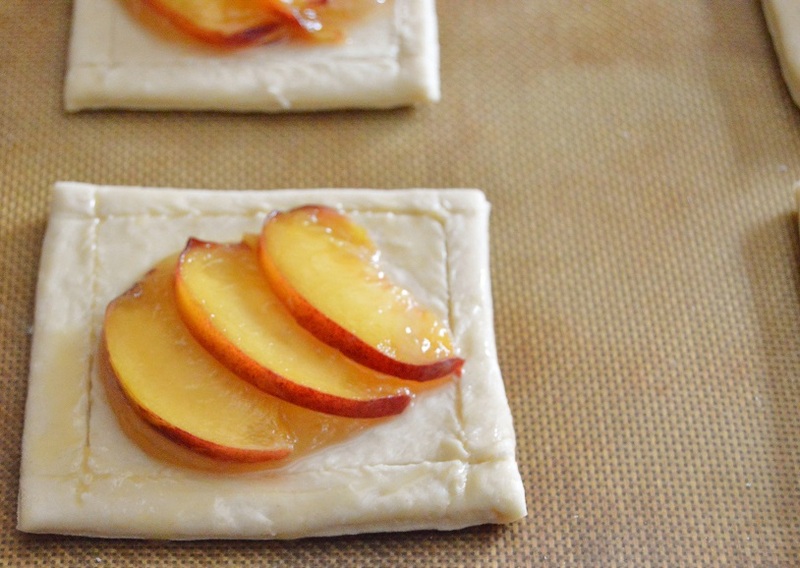 Brush the pastries with more egg and bake for 15-20 minutes until golden brown. 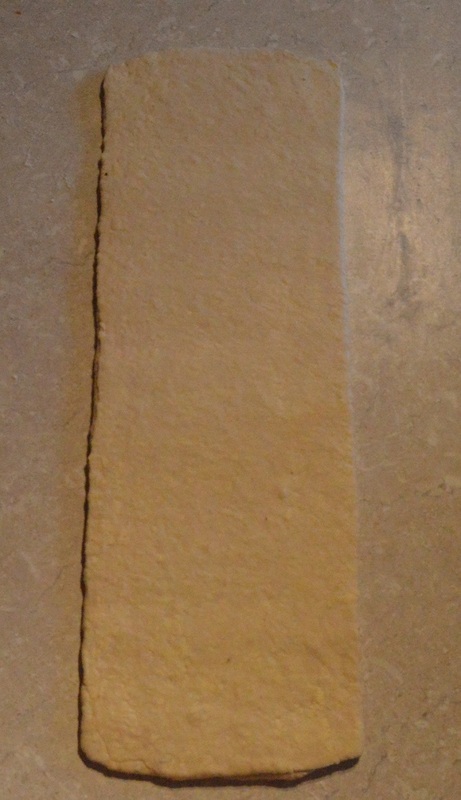 Transfer to a rack to glaze. 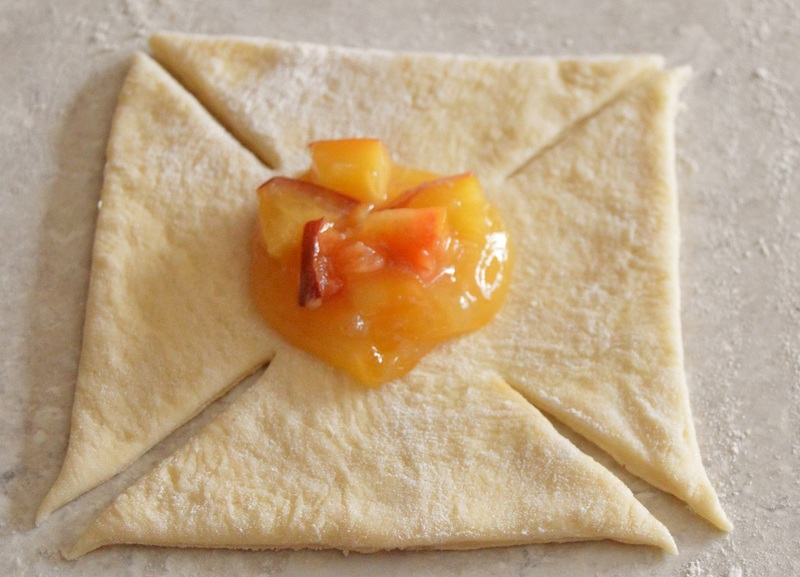 (7) Heat the peach conserve with the Amaretto to give a fairly thin glaze, stirring while it heats. 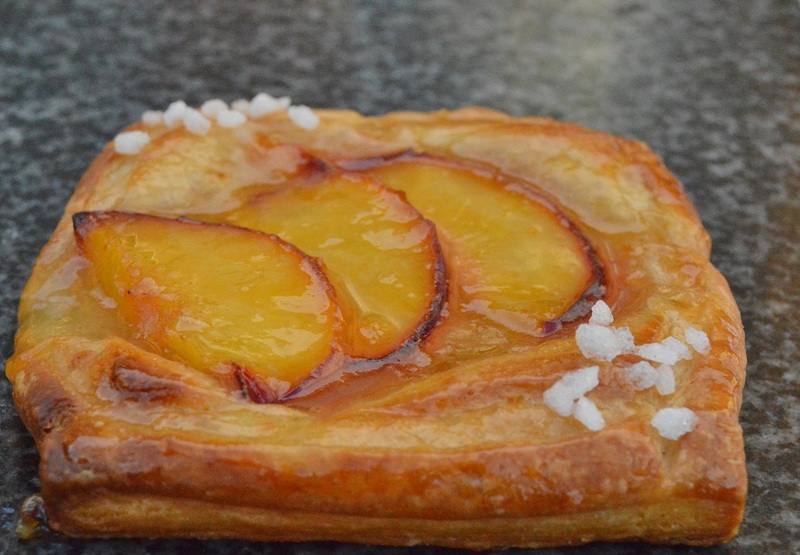 Brush generously over the hot pastries and leave them to cool. 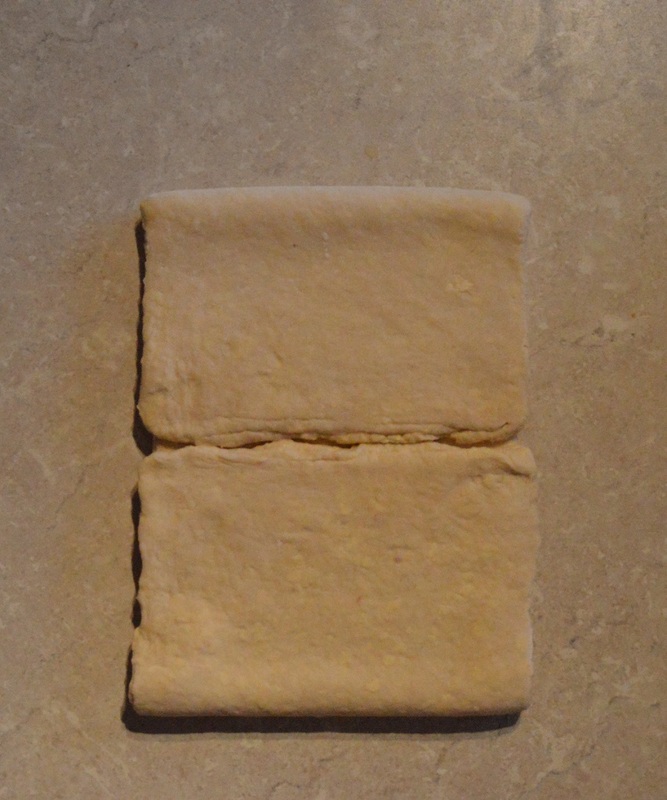 Cut about 2 centimetres from each corner diagonally, stopping just before you reach the filling, to give 4 “sails”. Take the left corner of the top sail and bring it over to the next sail, pressing it gently in place at about “3 o’clock”, give or take!!. Repeat all the way round – it might be easier to rotate each time so the next sail is upwards as in the first case. 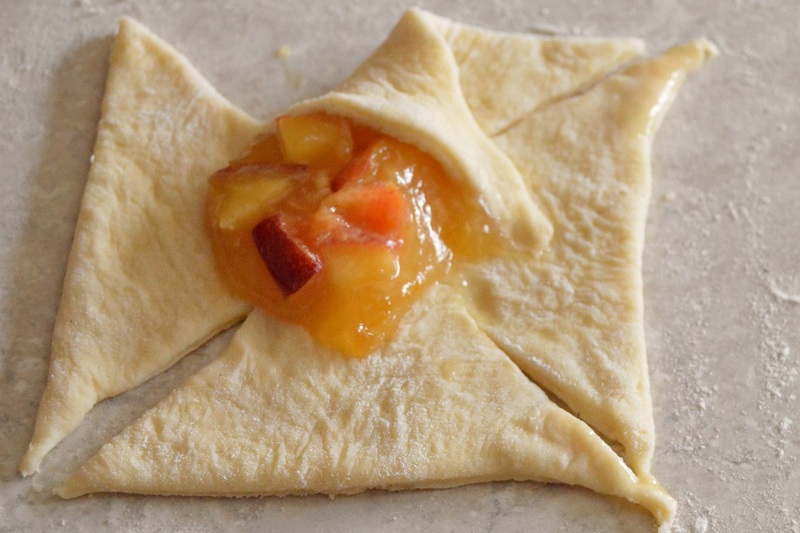 You can then cover the centre with a piece of peach or else leave it exposed. 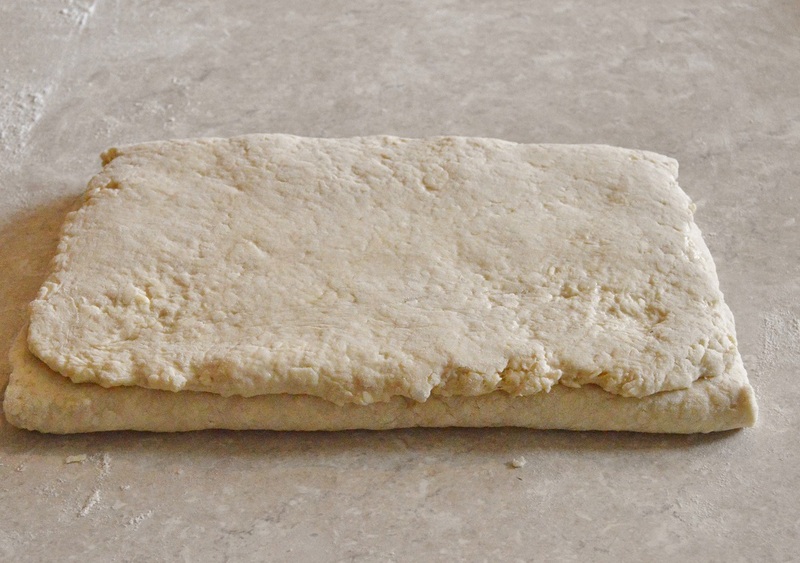 Now just leave to rise and bake as above. 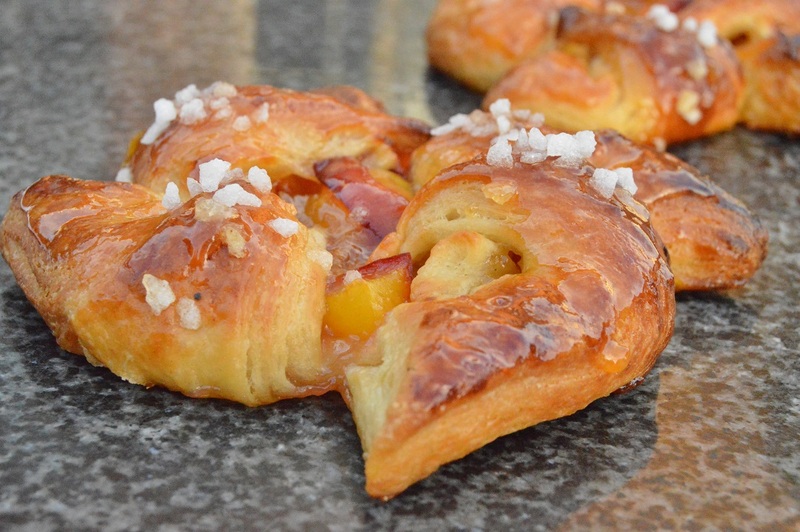 If you want to make these with a traditional croissant dough, my full guidelines and tips/troubleshooting are on my post here.